We have proudly supplied world class temperature management solutions to our customers since we first opened our doors in 1940. Our primary focus at this time was manufacturing industrial freezers. The CSZ brand quickly became synonymous with long-lasting, reliable, and high quality products. From our humble beginnings, we have grown from a supplier of industrial freezers to become a leading manufacturer of standard and custom environmental test chambers. 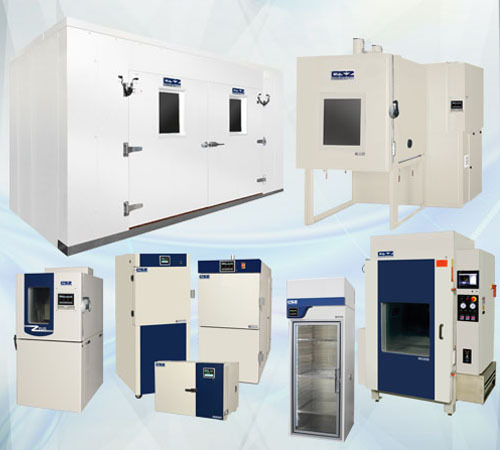 These test chambers now include a wide variety of thermal, vibration, humidity, altitude solutions, and much more. Over time it became clear that the addition of a testing laboratory would not only provide more opportunities for growth but would allow us to provide a more complete portfolio of environmental testing solutions to our customers. Throughout our journey to become one of the premier worldwide suppliers of environmental testing solutions we have held true to the philosophy that the customer comes first. This dedication to customer service has allowed us to work with leading manufacturers in over 22 industries including aviation, automotive, aerospace, defense, medical, energy, to name a few. Located in Sharonville, Ohio, our campus is comprised of two buildings with over 150,000 square feet of manufacturing space. Each building has been tailored to provide flexibility, comfort, and safety for our employees while providing room for continued growth and innovation. Our testing facilities consist of two locations with one being on the main campus in Sharonville and a second laboratory in Sterling Heights, MI. Weiss Technik North America is a member of the Weiss Technik group of companies, a division of the Schunk Group with its headquarters in Heuchelheim, Germany. Weiss Technik has over 50 years of experience in the manufacture of environmental test chambers and employs 1,700 people in 22 group companies in 15 countries worldwide. Schunk was founded in 1913 and consists of a group of globally-active technology companies with a broad product and service spectrum in material technology and system engineering encompassing the areas of carbon technology and ceramics, environmental engineering and air conditioning, sinter metal technology, ultrasonics and enamel engineering. The Schunk Group has over 60 companies and locations in 29 countries. The Group employs over 8,262 people around the world. For more information about the Schunk-Group, please visit: www.schunkgroup.com.